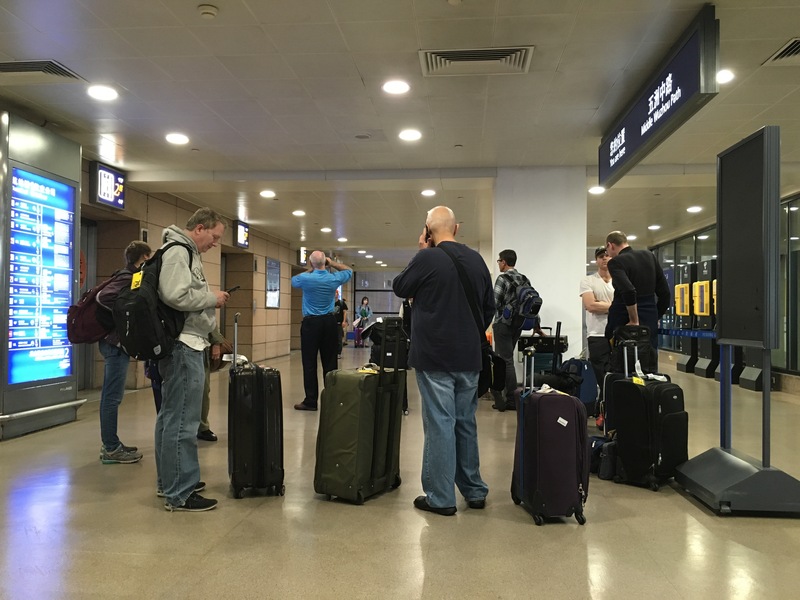 After a punishing 14-hour flight, the second and smaller portion (Group B) of Pacific Symphony arrived in the most populous city on Earth, in the most populous country on Earth — Shanghai, China — at approximately 6:30 a.m. local time, Tuesday, May 7. We had departed LAX at a little after 1 a.m. on Monday. That’s a lot of time to watch movies. 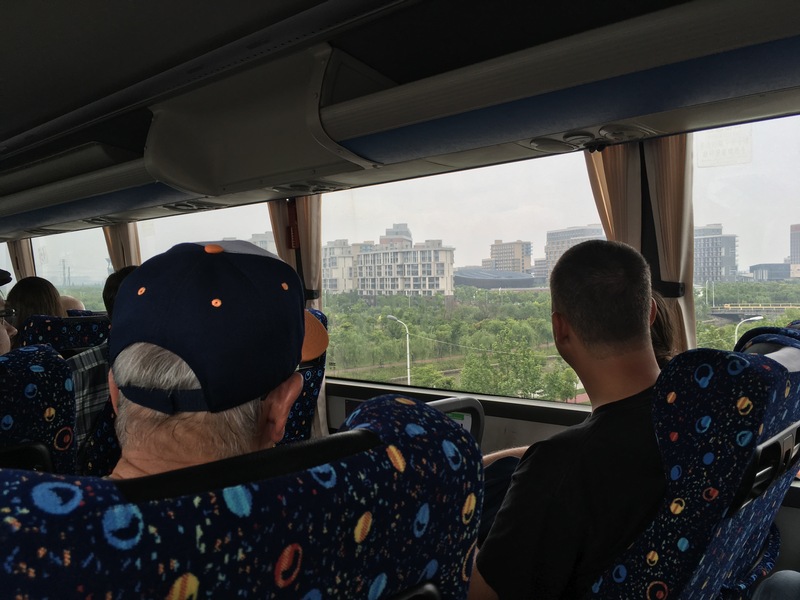 Upon arrival, we had to clear immigration and customs (we were all electronically fingerprinted) and then we waited for the bus to arrive. 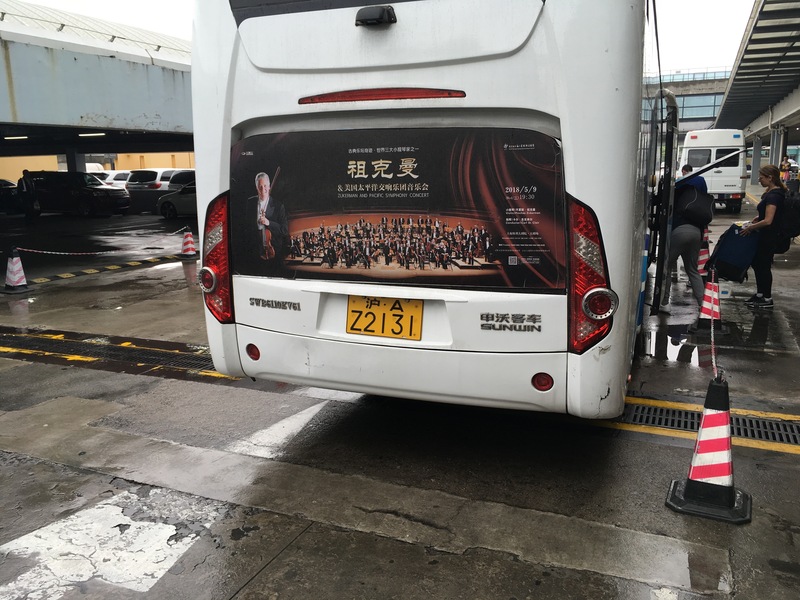 When the bus for our luggage arrived on this wet and dreary morning, we noticed an advertisement on back for our concert tomorrow night. It’s been nice to say hello to many of the musicians again, quite a few of them for the first time since the 2006 European tour. 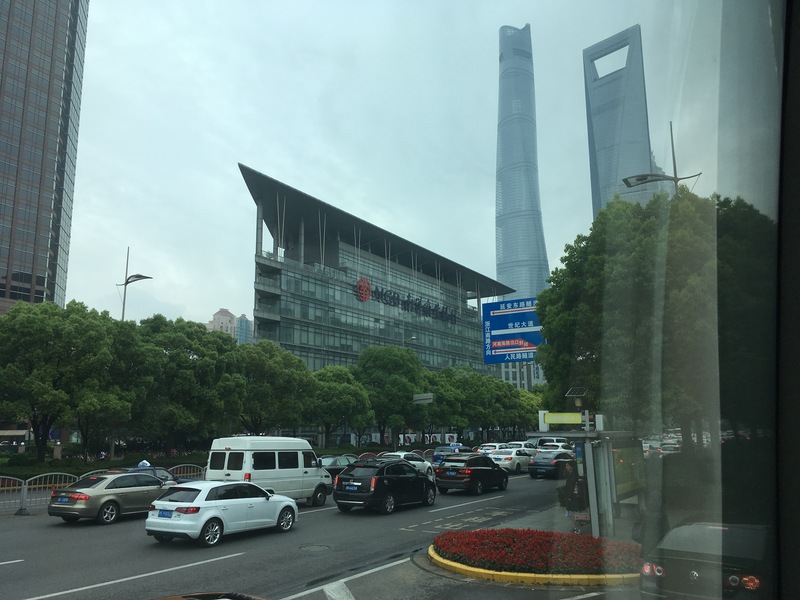 Then it was another hour or so into downtown Shanghai, much of it spent on an elevated freeway peering out the windows at the vast metropolis. Luckily, the orchestra doesn’t have to perform today. The first rehearsal and concert is tomorrow. Tonight, there’s a press conference of some type which I plan to attend. 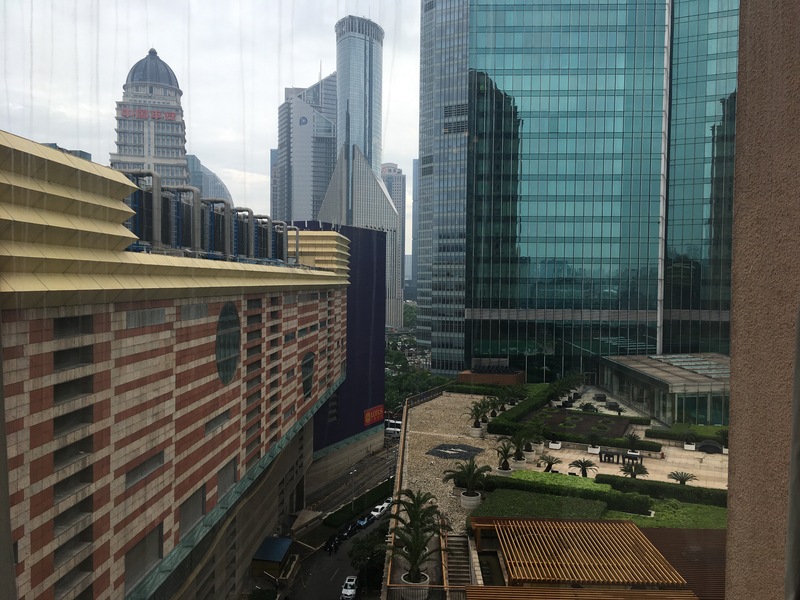 Meanwhile, here’s the view from my hotel room. Wow. Excited to follow along on the adventure. Weird but honest question….How does an orchestra travel with their instruments? Do they have their own minder? Are they all in specialized temperature/pressure controlled containers while flying? The logistics of moving an orchestra and its instruments around are rather elaborate. The bigger instruments go around in separate trucks and planes, by necessity in advance, encased in trunks and yes, climate controlled environments. These would be the double basses, percussion, harp, I suppose some cellos. The smaller instruments are checked in on planes or often are carried on. I saw several musicians carry on their instruments to the flight here. Love your report! Can’t wait for more. Fantastic Tim, trip of a lifetime. Soak it up.